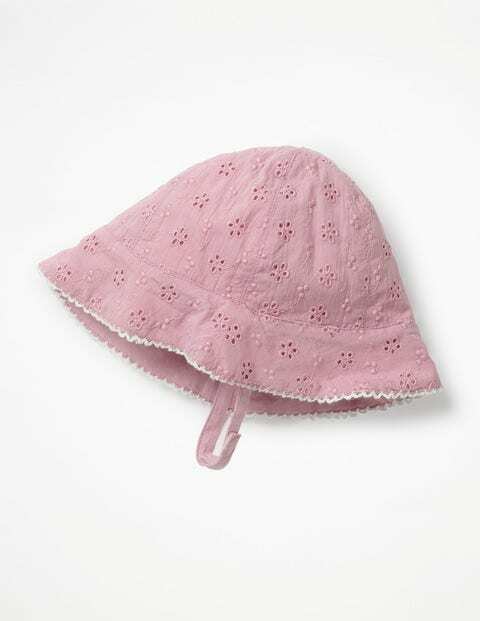 Have your little one looking as pretty as a picture with this woven gingham sun hat. The fluttery 3D daisy detailing brightens up even the sunniest of days and the wide brim will keep baby's face perfectly shaded. A handy touch-and-close fastening on the chin strap means this design will stay on longer than the usual five seconds.